The Oregon Conservation Center, The Nature Conservancy’s new Oregon headquarters, showcases TNC’s work throughout the state conserving Oregon’s diverse and extraordinary ecosystems. The foundation of the partnership with project^ is a deep and shared belief that Oregon’s natural environment is a treasured asset. The project complements the re-use of TNC’s previous 1970’s office building with the addition of a new convening pavilion for collaboration with partner environmental organizations. 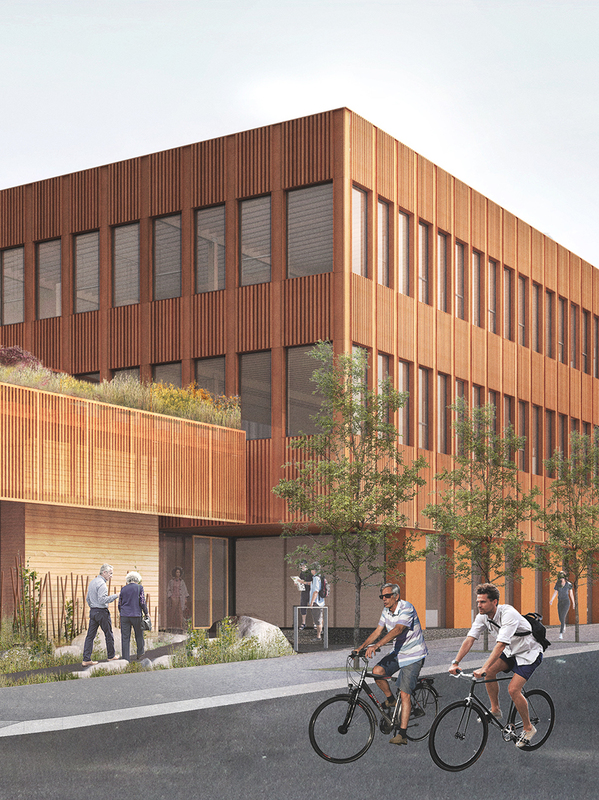 Advanced solar and storm water management systems, a landscape featuring Oregon’s indigenous plants, innovative use of Cross Laminated Timber (CLT), as well as building materials from TNC’s project sites are conspicuous signals that this is a values-driven project. The Conservation Center promises to connect people with nature in the heart of the city and be a vessel for environmentalism.